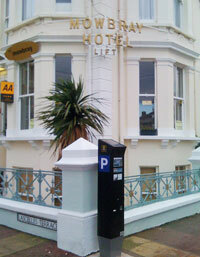 The Mowbry Hotel project involved redecorating the dining room which needed a new ceiling, the kitchen had to be replaced, redecorated and upgraded to comply with commercial food hygiene requirements. The staff bathroom was converted into two separate rooms. The first room was to house the new commercial washing machine and tumble dryer. The second room was fitted out as a shower room for the continued use of the staff. The client required the project to be completed within five weeks. We were contracted to renovate and modernise the entire flat, paying special attention to the living room, master bedroom and kitchen. Throughout the flat the celings had to be completely replaced and re-plastered and many of the floors had to be repaired before new flooring could be laid. 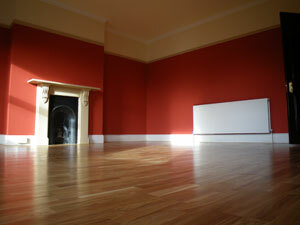 This contract was to adapt a bungalow for disabled use and to emulsion and gloss throughout. The client, a private landlord, also required the hallway to be repapered. 18th Century Building, Hampden Park. The customer required us to renovate the exterior of this 18th Century home in Hampden Park. 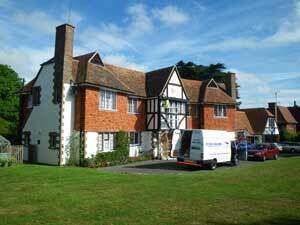 The work mainly consisted of repainting the exterior of the building and replacing damaged pipe work.